3 New Poster Designs for Eric Church! New Goldenvoice Poster Design for Queens of the Stone Age at the Forum! 3 New Poster Designs for Skrillex! New Goldenvoice Poster Design for Camp Flog Gnaw Festival! New Poster Design for the Luke Bryan 2014 Farm Tour! 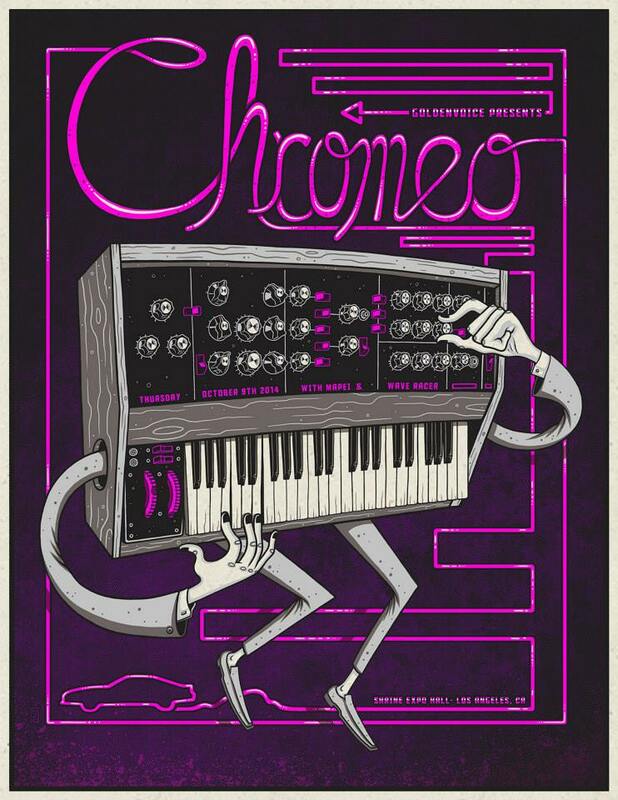 New Goldenvoice Poster Design for Chromeo! New Poster Design for the Blue Meanies at Riot Fest! New Poster Design for Soundgarden at the Hollywood Bowl! New Poster Design for Yo Gabba Gabba!